Overpronation might seem normal. But you need the right shoes optimized for this specific foot condition. It is always best to prevent foot-related issues associated with overpronation. This review will help you find the best running shoes for overpronation. We carefully review 5 running shoes which deems to be the most efficient and powerful for your foot condition. It is time to know if your current shoes have done harm or good on your feet condition. Keep reading as you expand your knowledge about shoes optimized for high arches. 2 What to look for shoes for overpronation? 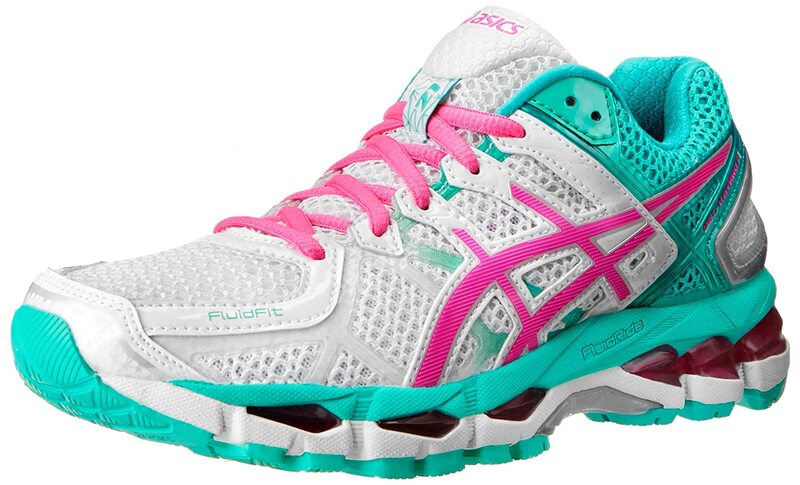 ASICS GEL Kayano 21 has been a popular choice for overpronators. If you run from mid to high mileage, these running shoes will give you the right comfort and stability. GEL Kayano series is ​always made for stability, the number one needs for runners with overpronation. The outsoles of these running shoes highlight these 3 technologies: AHAR® (Asics High Abrasion Resistant) Rubber, DuraSponge®, and Flex grooves. AHAR® is known for its durable characteristics providing twice the abrasion resistance you get from standard rubbers. Even if you use these shoes continuously, wear and tear won’t likely occur as fast as you experienced on common shoes. You can also rely on a slip-resistant run through an enhanced traction on the outsoles. DuraSponge® blown rubber provides more cushioning and protection to the forefoot section of these shoes. You will feel more comfortable every time your forefoot strikes and lifts off the ground. Flex grooves assist the movement of your feet. The grooves itself flexes when your feet is approaching the toe-off phase. The midsoles of these running shoes highlight these 4 technologies: FluidRide®, Dynamic DuoMax™, Gel®, and ComforDry™. FluidRide® enhances the bounce-back mechanics of your ride while providing an ample cushioning. It will enhance your gait cycle since the springy motion will assist your foot motion. You will notice more efficient toe-off phases as you keep running. Dynamic DuoMax™ is a support system which enhances the stability mechanism of these running shoes. The midfoot section of the midsoles is concentrated with dual-density foams to achieve this system. You arch will be snugly held in place which prevents overpronation throughout your gait cycle. Gel® is a cushioning system added particularly in the forefoot and rear section of the midsoles. Shock absorption is enhanced during landing phase which will make your steps more comfortable and less painful. ComforDry™ includes more cushioning on the sock liner area which enhances energy rebound. The midsole platform is also kept cool and dry with the efficient moisture management feature of ComforDry™. The uppers of these running shoes highlight these 3 technologies: FluidFit®, Overlay system, and Heel Clutching System™. FluidFit® wraps your feet with a multidirectional stretch mesh. You won’t feel a stiff type of mesh since it will adapt the structure of your feet. It is good for your skin as it won’t rub disturbingly. This is a good way to prevent the formation of blisters. The uppers have stitches overlaid on some sections. These stitches are connected to the lacing system of the shoes. Every time the shoelaces are manipulated, the shoes will keep giving you a secure and snug fit. This is best paired with Heel Clutching System™ since it enhances the support on the rear part of your feet. 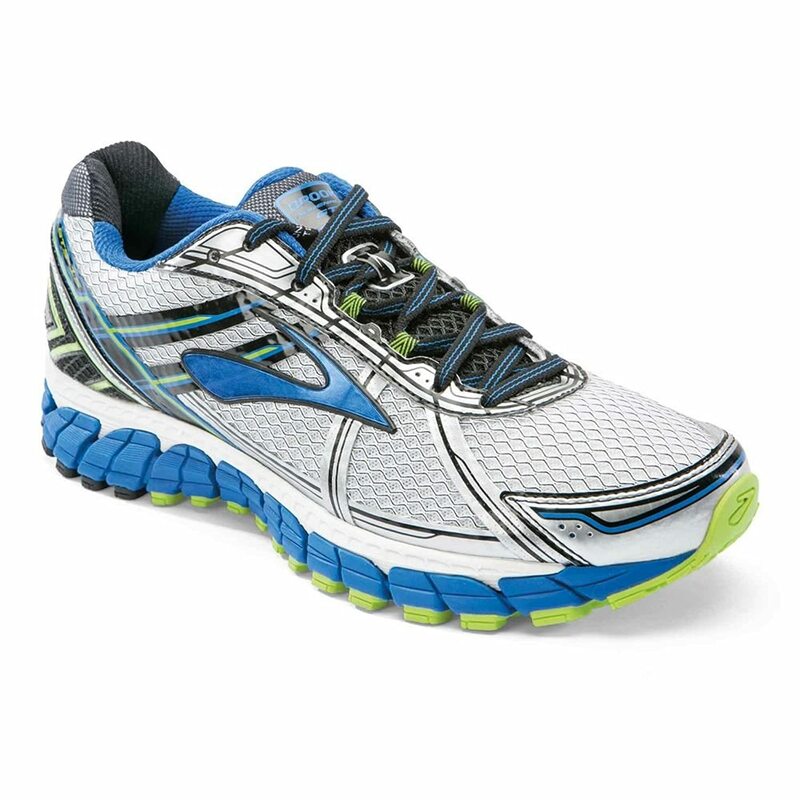 If you are looking for stability and protection on top of overpronation assistance, Brooks Adrenaline GTS 15 will surely meet your needs. 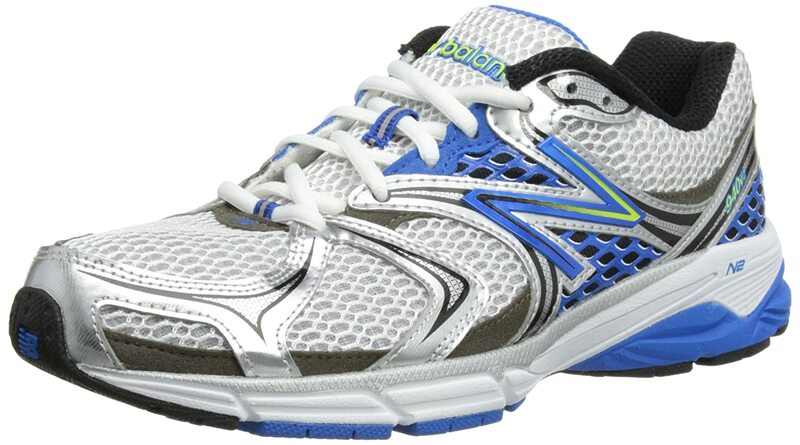 These running shoes help in reducing the tendency to overpronate every time you run. It’s also good to know that these running shoes are flexible. If you are running on asphalt, gravel, and track terrains, these shoes will exhibit its optimum power. Brooks designed the outsoles of these shoes with blown rubber. During the production, the outsoles are expanded or mixed with air. This process gives off a lightweight and cushioned properties of the outsole. If you prefer durability and protection, blown rubber is able to achieve your preference. This design assists the midsoles of the shoes in promoting abrasion resistance, especially on road tracks. Flexibility is achieved through the multidirectional flex grooves of the outsoles. Since it is flexible, the natural movement of your foot will be sustained. It is important for your foot to bend more as you go through your gait cycle. Brooks designed the midsoles of these shoes with BioMoGo DNA. Your foot motion will be adapted dynamically with an extremely smooth heel-to-toe transition. This technology reduces the possibility of having foot pains while running. On top of the midsole platform is a removable contoured insole. It has a good design in which your underfoot receives optimal support through proper cushioning. The insoles are good﻿﻿ for ﻿plantar fasciitis. If there’s a word that could simply describe the midsole platform, it would be “adaptive”. The cushions tune up to dimensions and size of your feet, leading to a supportive and responsive ride. The springy effect will increase your running performance. Brooks designed the uppers of these shoes with Element Mesh and 3D Fit Print Overlays. It is the job of Element Mesh to keep the uppers comfortable for your feet. Your feet will feel cool and dry throughout your run since it has an efficient water absorption and moisture wicking properties. And since it is a snug fit, your feet won’t feel stiff and restricted. It is the job of 3D Fit Print Overlays to keep the fit secure and comfortable. Since it is connected to the lacing system of the shoes, the uppers would just adapt to the movement of your feet. 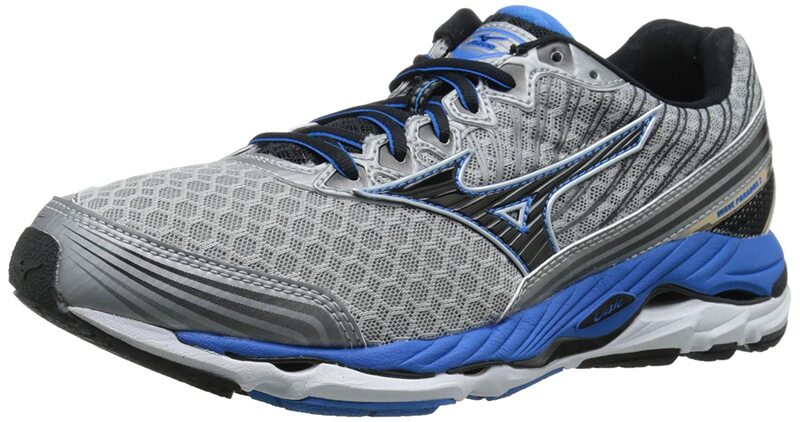 If you are looking for motion control running shoes, Mizuno Wave Paradox 2 will surely meet your needs. These running shoes are designed to counteract excessive inward rolling of your feet throughout your gait cycle. Together with motion control, your will also experience a comfortable run. Mizuno incorporates their X10 carbon rubber for the outsoles. With X10 carbon rubber, you will definitely obtain an extended lifespan of the shoes for its satisfying durability. You will also experience an impressive ground traction. The material is designed to be denser on wear-prone heel and toe sections of the outsoles. On an actual run, pressure will be distributed properly to every section of your underfoot. The heel section of the outsoles has a horseshoe appearance. This will assist the shock absorbing properties of the midsoles of the shoes. The forefoot section of the outsoles have grooves to enhance the flexibility of the shoes. It is important for your feet to receive less impact while maintaining a free and natural motion. Mizuno must have been euphoric when they come up with Wave Paradox 2 as they integrate the U4ic midsole foam into the running shoes. While U4ic foam still inherits the responsiveness, durability, and flexibility of Mizuno’s previous AP+ foam, it is observed to be lighter among the two. U4ic foam aims to balance the softness, firmness, and responsiveness of the midsoles. Mizuno also incorporates their SR touch technology on the midsoles. With SR touch, your feet will receive lesser shocks even on your toughest run. It also keeps the transition from your heel to toe smooth and fast with its efficient energy rebound property. Mizuno has this Wave Spring technology which aims to balance the stability, integrity, and cushioning of the midsoles. Mizuno incorporates their refreshing honeycomb mesh. The mesh offers a breathability throughout the uppers of the shoes. Mizuno also decided to overlay a lot of stitched designs which results in better structure and support as opposed to their previous designs. Since you need a lot of midfoot and heel security, the overlays are carefully interweaved with the logo of the shoes. You can really assure that visual designs is not just for your eyes. It has a real purpose behind. New Balance 940 v2 has provided a proper support on the arches for moderate overpronators. It is also a flexible shoe without needing to be a motion control shoes at all. These running shoes work best when used on road terrains. The outsoles of these running shoes have a blown rubber material. It offers good traction and little cushioning. New Balance utilizes their Ndurance technology on the wear-prone areas of the outsoles. With Ndurance, the shoes will be durable enough to keep your feet protected on a long-lasting performance. New Balance designed the midsoles with a lot of technologies – T-Beam, ACTEVA Lite, N-ergy, and N2 cushioning. T-beam aims to enhance the torsional stability of the shoes. New Balance mixed the thermoplastic unit and high-density foam to achieve the needed stability. It has unique center beam design which will further support the arches of your feet. Also, it will reduce unnecessary movements of the rear part of your feet. ACTEVA Lite is an important weight reduction feature. It is significantly 24%lighter than standard midsoles foams. Despite the weight reduction, ACTEVA Lite is so resilient that it offers a good energy rebound throughout your run. The heel and forefoot section of the midsoles will have an enhanced shock absorption, which is good to prevent foot pains. Shock absorption and responsiveness are further elevated through the N-ergy technology. It is still found in the heel and forefoot section of the midsoles since these sections receive the highest impact every time you land your feet. N2 cushioning is provided on the heel section to provide proper cushioning. The uppers of these shoes have a standard synthetic mesh. It still manages to give you the breathability you need on an intense run. New Balance integrates their NLOCK system of overlays which secures the midfoot and heel sections of your feet. An Ortholite Sockliner is also noticeable in the interior of the uppers. This will purposely wick any moisture entering the shoes while you are using it. Lightning Dry technology is also used to further enhance skin comfort regardless of the intensity of your run. If you are looking for running shoes with a good mix of stability, flexibility, protection, and steadiness, Saucony Hurricane 16 is what you might be looking for. When running with these shoes, you will experience a real road feeling which cannot be offered by ordinary running shoes. It has the necessary support on the sides and shock-absorbing cushions which appeal to a lot of overpronating runners. Saucony’s IBR+ (Injection Blown Rubber) Technology is used on manufacturing the outsoles of the shoes. It significantly reduces the weight of the outsoles. On an analysis, IBR+ deems to be 33% lighter than common blown rubbers. Needless to say, the outsoles are designed with enhanced cushioning which improves the responsiveness of your ride. On a glance, the outsoles have a zigzag pattern. It might be visually appealing for you, but its ultimate purpose is to disperse the shock throughout the outsoles. Every time you land your feet, shock-prone areas will not be too pressured. Overall, the outsole is designed to enhance traction, slip resistance, shock absorption, and durability. These running shoes perform best on road terrain even if it is wet or not. Saucony’s PowerGrid Specialized Technology is used on manufacturing the midsoles of the shoes. This technology is reliable for absorbing more shocks, delivering extra protection, and enhancing the responsiveness of your ride. Your feet will significantly receive 20% less shock compared to common midsoles. This is important to let you enjoy running for a long duration. Saucony Hurricane 16 will never fail you if you are extremely particular about the physical appearance of your shoes. You might even walk and run proudly with the visually appealing design of these running shoes. The uppers of the shoes are primarily made with synthetic mesh material which promotes durability. The collar lining is made with Saucony’s HydraMAX technology which keeps your feet cool and dry. Overall, the uppers securely and snugly adapt to the structure of your feet. You will experience a sock-like feeling when you use these running shoes. What to look for shoes for overpronation? A lot of running shoes claims to be efficient for overpronation. Yet you need to be extremely meticulous when choosing the right running shoes for your condition. Here’s a list of factors you need to consider when buying running shoes for overpronation. While it is always comfortable to have a full-length support and cushioning, your midsoles must receive additional support. There are no specific physical attributes that would qualify a shoe for midsole support. But you need to focus on the arch side of your feet. Support must be firm on your arch side. If you are wearing running shoes with improper midsole support, you are at higher risk for fatigue, discomfort, pain, and injury. Most of the runners with overpronation tends to have slight discomfort with single density foams. You must consider buying running shoes with dual density, triple density, or any multiple level densities of foams. Gels and compression technologies will also do well for your condition. In general, foam density customizes the way you ride with the shoes. Since it is a bit tricky to choose between the varying densities of foams, you must use a density foam with a good and comfortable response to your natural gait cycle. Heel counters and wedges have been supplementary for overpronating runners. It aims to provide more cushioning and further absorb impacts. Since there’s a lot of variations of heel counter design, it is best to have a heel counter with rigid and snug fit. This type of heel counter will remarkably increase the comfort you have with your running shoes. There are times when a normal running shoe is still comfortable for you on a short ride. But you experience discomfort once you are going on a higher mileage. It is good to choose running shoes which have the ability to provide utmost comfort and support on a long intense ride. There are a lot of running shoes for overpronation designed to give off its maximum performance even on a high-mileage ride. While this will not totally affect the performance of your running shoes, you have the freedom to choose the most appealing shoes. It’s good for you to know that some visual designs have real benefits for the shoes. Some designs might enhance support, stability, and comfort of the shoes. You might want to have a good balance of design and features for your running shoes. Overpronation is not entirely a problem at all. With just the right shoes and the right guidelines, you can precisely alleviate the possible foot-related issues associated with overpronation. Thanks for reading this review. We hope you have fully understood how your running shoes must help on assisting your overpronation. We also hope you have come up with the perfect shoes for your need. Your comments are well appreciated for this review.